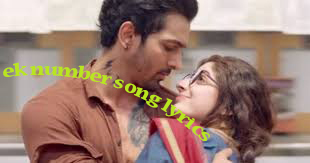 Sanam Teri Kasam songs lyrics in Hindi. Ek number song was sung by Himesh Reshammiya & Neeti Mohan in the composition of Himesh Reshammiya. Harshwardhan Rane & Neeti Mohan featured for this song.